Eddy Morales says unwarranted fear and a romanticized view of the past drive today's anti-immigrant mindset. Morales wants to counter that image with a reminder that immigrants have formed the backbone of America. As the first U.S. citizen in my family, I understand the hidden meaning of the phrase "immigration reform" when it comes from the mouths of people who vilify recently-immigrated Americans and seek to close our borders. Most of us know that's code for racial and ethnic bias: fear of the unknown, fear of change, and misplaced romanticism of times gone by when things were "better." A recent opinion piece in this paper ("Close borders to restore U.S. quality of life," by Elizabeth Van Straaveren, June 12) is a great example of this way of thinking; that somehow we had fewer problems in the past and if we could just get back to that time, all would be well. Do they mean the time when women could not vote, when Jim Crow was rampant and segregation was legal, when our government decimated Native Americans to take their land, or when Japanese Americans were in internment camps? Let's face it, for much of American history what is best about our country has existed side by side with the worst traits in humanity, but what makes us the greatest nation on earth is that the majority of us are willing to work toward a common good. I respect the author's constitutional right to express her beliefs. Rather than debating her deeply inaccurate and offensive assertions point by point, let me simply present an alternative view: immigrants created the United States of America and immigrants continue to be a driving force for positive change. It's an indisputable fact that immigrants have been responsible for many of the best ideas and achievements in our history. What if we had said that Levi Strauss, Albert Einstein, and Google's Sundar Pichai were not welcome in America? As a nation and here in Oregon, we have always faced many challenges. Some people would like to pretend that crime, pollution, corruption and drug abuse are new problems for America, but they are not. All you have to do is look back at political speeches from the last century on YouTube — which you can do thanks to an immigrant's creation — and hear the phrase, "this is the most important election of our lives," year after year, because we are constantly working to tackle major problems together to improve this country. My point is not to diminish problems. They are real, but immigrants are not the problem nor the cause of many of them. In fact, if we pass humane, just immigration reform to allow immigrants to stop living in fear and participate fully in American society, immigrants could help us overcome these problems to create a future where all people and families thrive. This country's history is filled with the achievements of people who did not back down from tough problems, who faced adversity head on, and who bravely persevered, even when all seemed lost. Let's aspire to be like those great Americans. Let us not live in fear, but be driven by the same ambition, hope and courage that created this nation and challenge ourselves to see past what is different in others and look for commonality. We all want to provide for our families and live in safe housing in neighborhoods with clean air and water. We all want to have access to high quality and affordable healthcare and education, and to be secure in retirement. By focusing on our shared values and dreams we can unite and create communities where we all have the opportunity for "life, liberty and the pursuit of happiness." 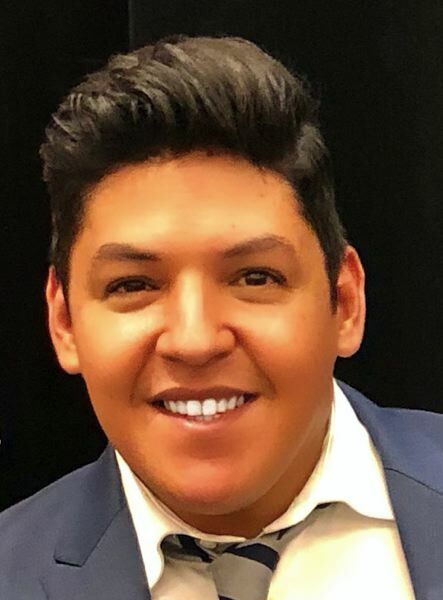 Eddy Morales is a Gresham resident and founder of East County Rising, a neighborhood group dedicated to ensuring local government works for all its constituents.